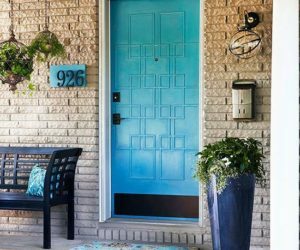 Looking for new ways of improving your home and making it more practical and better equipped to suit your needs? 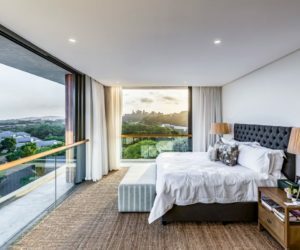 How about building a bookshelf or two and adding more storage to the rooms that need it? 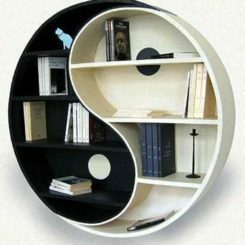 Bookshelves can take an infinity of different forms and can suit many purposes. They can hold a lot more than just books and they can be integrated into units or can be displayed in all sorts of interesting manners. 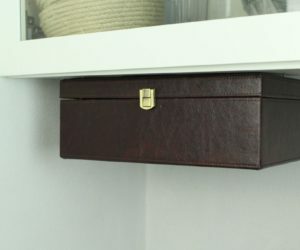 The whole point of a DIY shelf is to design it exactly the way you want it so let’s have a look at a few options which might inspire you. 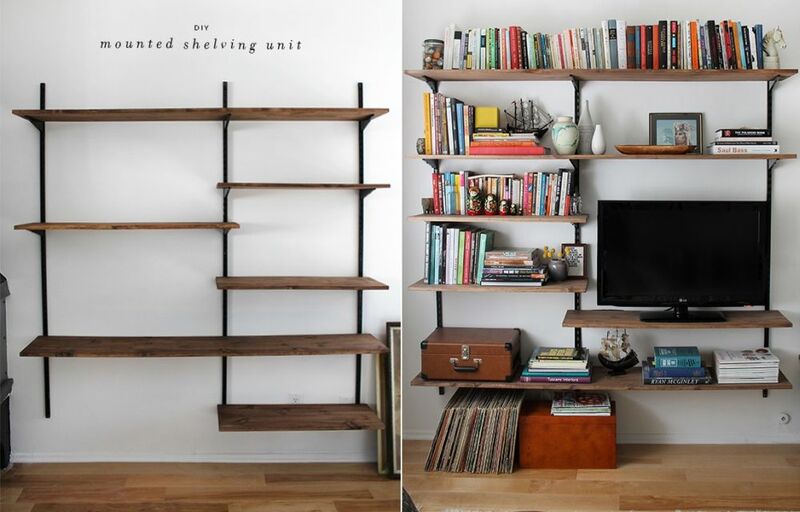 A combination of shelves can possibly function as a complex storage unit or even as a media unit for the living room. 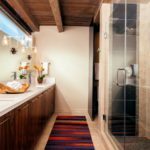 It’s a nice and affordable option which simplifies the interior decor and is especially practical in small rooms where there’s not enough space for a large console or wall unit. If you like this design, check out almostmakesperfect for instructions on how to build your own version. 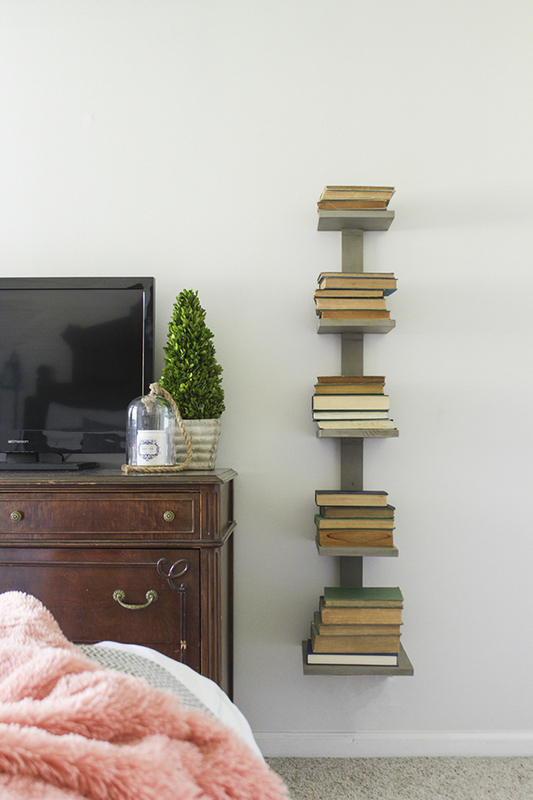 This is more than just a simple DIY bookshelf. 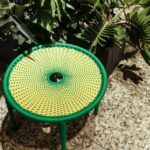 It’s a compact and very practical accent table made out of a discarded cable reel. It’s the perfect accessory for a cozy reading nook and it even rotates so you can easily grab the book you’re looking for. You can install casters on the bottom so you can also easily move it around. 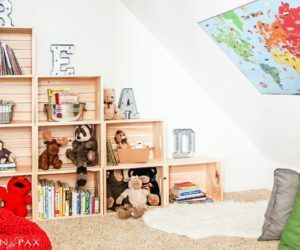 It’s usually the books that stand on the shelf, not the other way around so this upside down shelf is a pretty cool and unusual accent piece. It’s not magic that keeps the books attached to the. underside of the shelf but elastic loops stapled to the shelf and precisely measured for each individual book. 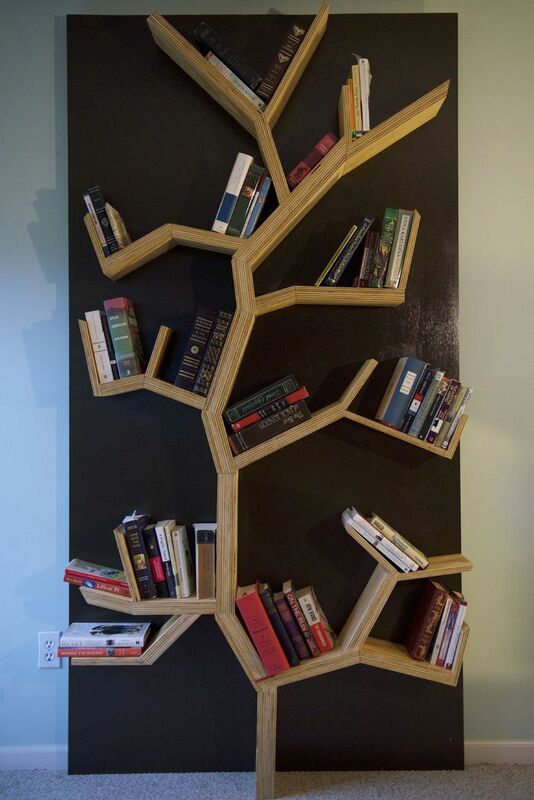 Sometimes a bookcase can be more than that and all it takes is a little bit of creativity and some spare time. 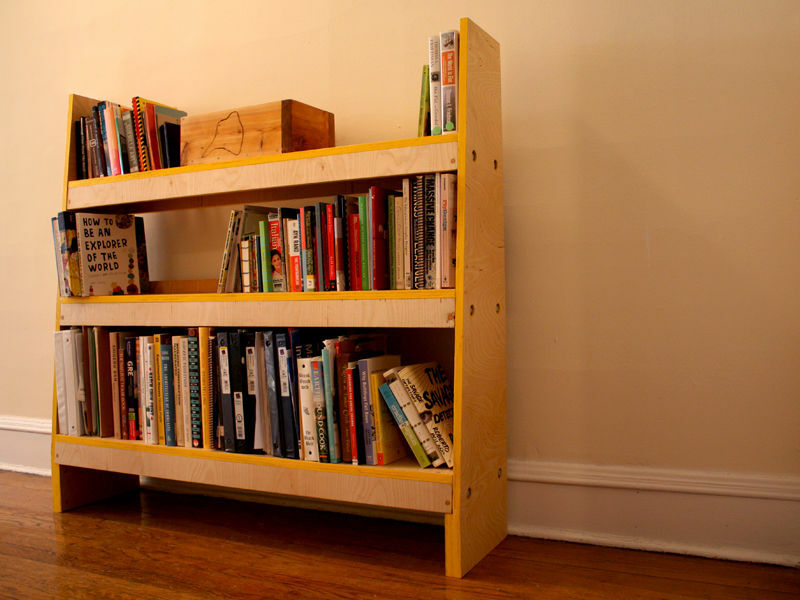 You can turn a simple bookcase into a comfortable bench with storage underneath. 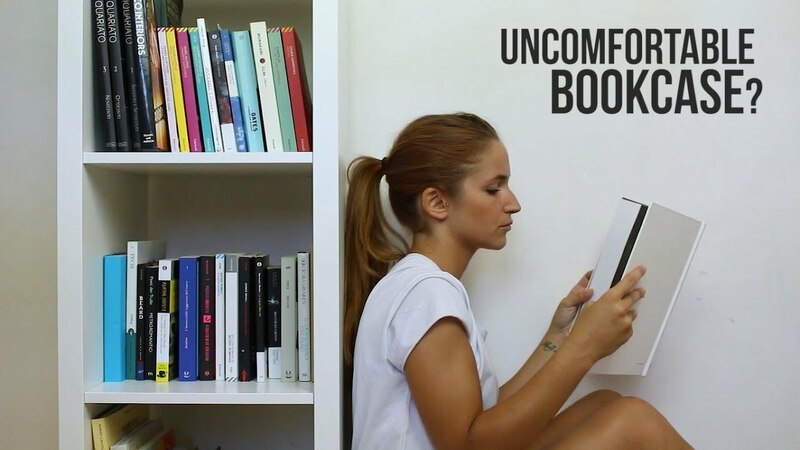 It’s a great combo, especially for reading nooks. You can place the bench in front of a window or in a corner and you can add pillows for an even cozier look. A bookcase which expands and gets bigger as your book collection grows…that’s not as unusual or difficult to design as it may seem. 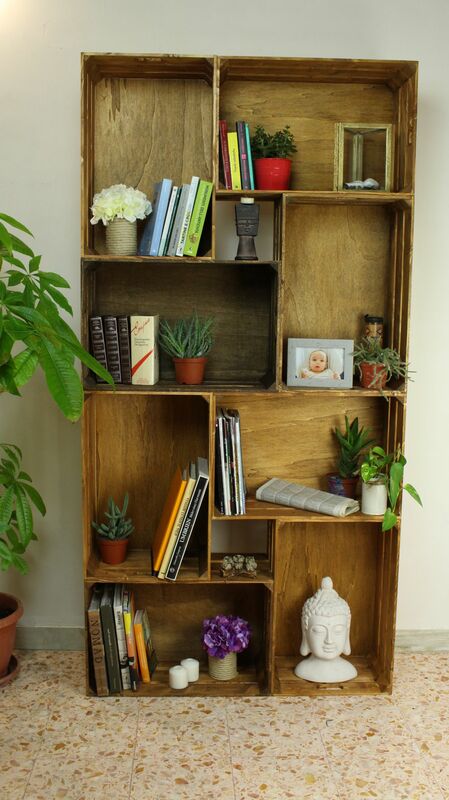 The secret of this stylish bookcase, for example, is that it’s made out of individual wooden crates which means you can always add more if you need more storage space. 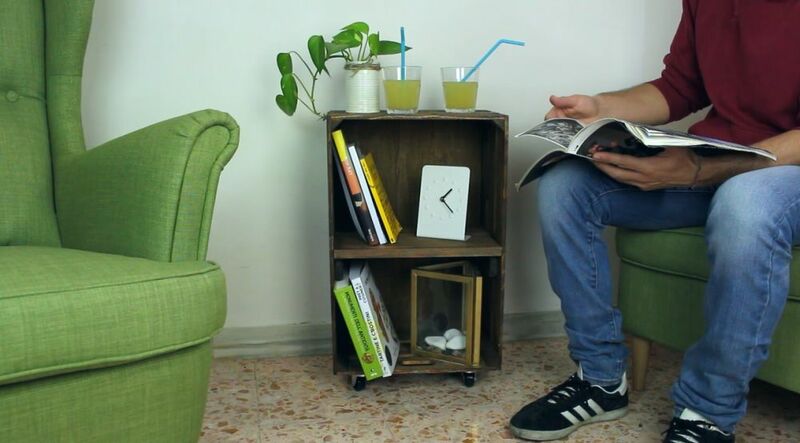 Speaking of wooden crates and DIY bookshelf ideas, check out this cute side table which you can build out of a single crate. Take a piece of wood and make a divider at the center, install casters and stain the wood. You can then add it to your living room, by the sofa or next to a comfortable armchair. 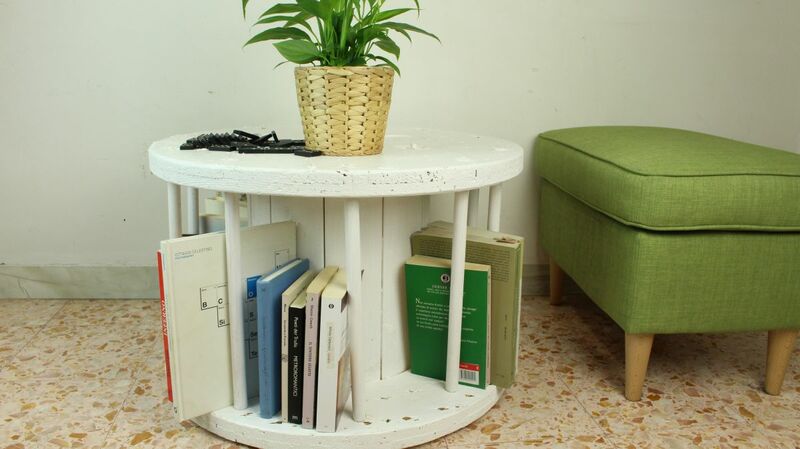 This wooden crate side table is one of the easiest and most inspiring projects on our list. Of course, not every DIY bookshelf must double also double as something else. Sometimes a single function is enough. Of course, shelves usually come in pairs or larger groups so it’s more accurate to talk about bookcases rather than bookshelves. In any case, check out this simple unit built out of a single sheet of plywood. 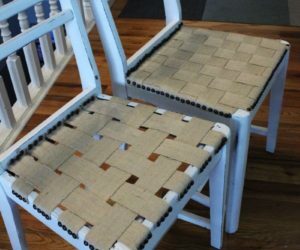 You can find out everything about it on instructables. 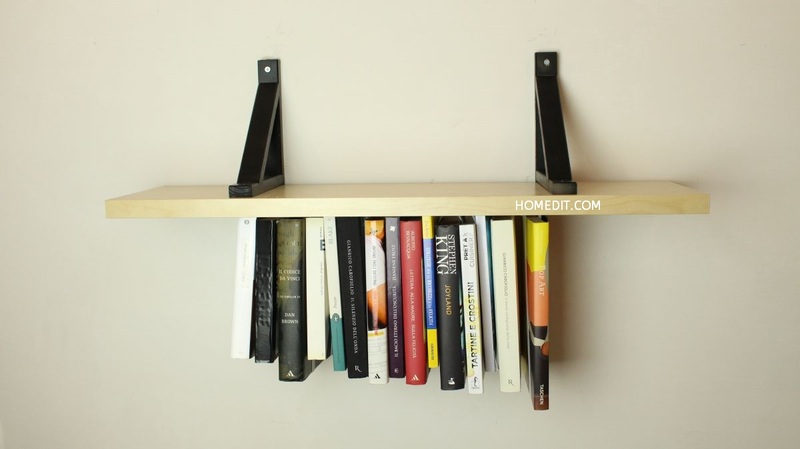 Another stylish DIY bookcase design comes from ohohdeco. 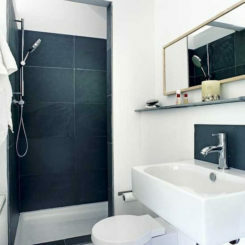 It combines black shelves and light, natural wood partitions, featuring compartments of various different dimensions. 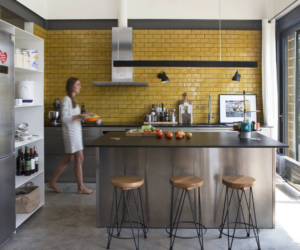 You can add as many layers of shelves you want to. We really like this low, console-like structure. 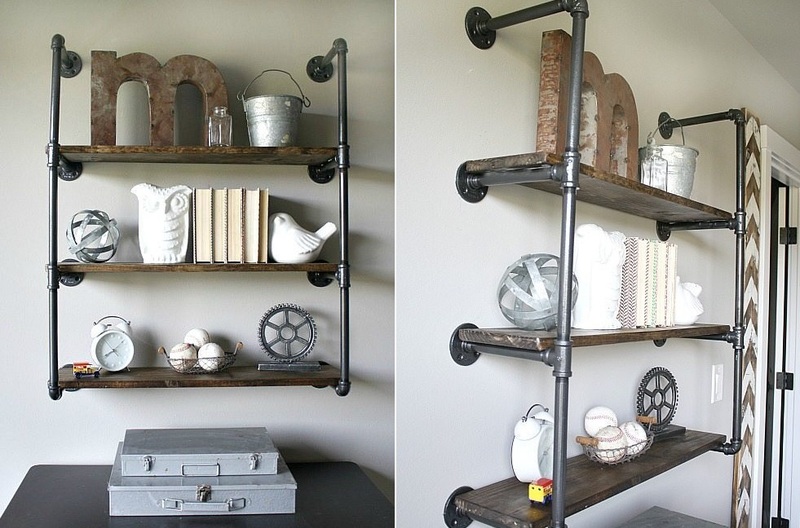 Give your DIY bookcase a chic, industrial vibe by incorporating metal pipes into its design. 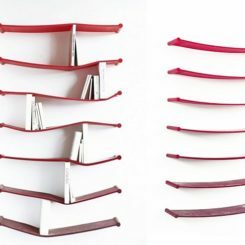 The pipes can serve a practical role if they’re a part of the bookshelf structure but they also play a decorative role. 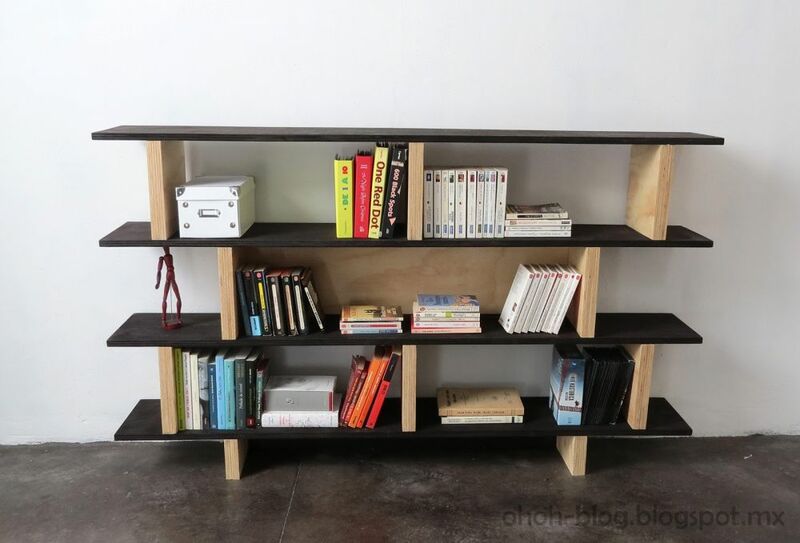 Check out rogueengineer for some great plans and instructions on how to build this industrial bookcase from scratch. 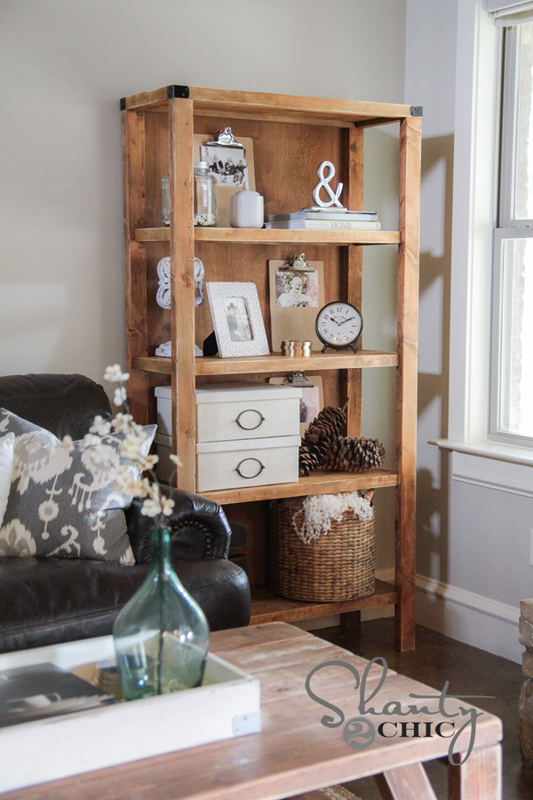 Perhaps you’d like to add a rustic vibe to your home’s decor and you’d like to do it with DIY bookshelves. One idea can be to build a simple and open bookcase similar to the one featured on ana-white. 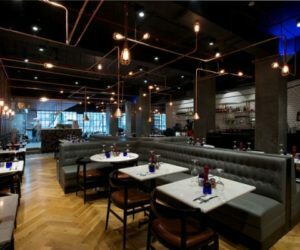 It’s versatile enough to look great and to be useful in spaces like the living room, the dining area, even the kitchen, the bedroom or a hallway. 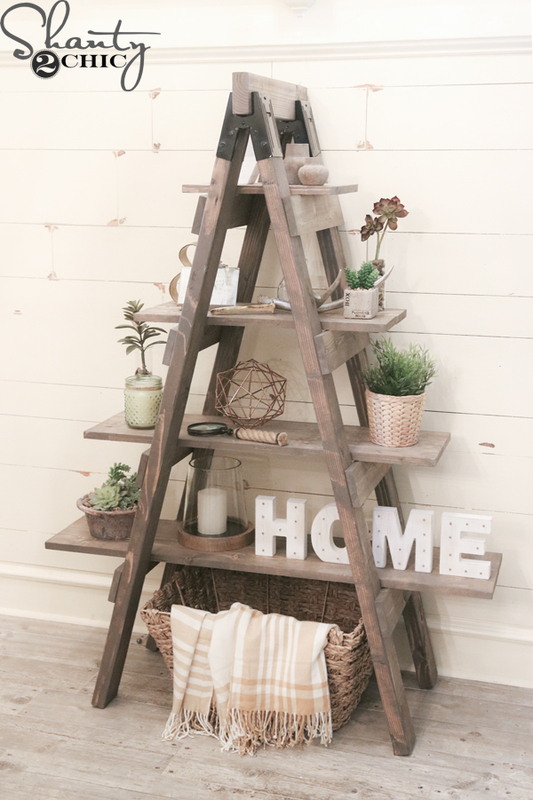 Speaking of rustic bookshelf ideas, check out this ladder bookcase that we found on shanty-2-chic. It’s a very charming piece with a lot of character and a simple, pure and nostalgic design. You can fill the shelves with books (obviously) but also with potted plants to create a tiered indoor garden. Also, you could paint or stain the wood but then this wouldn’t look the same. 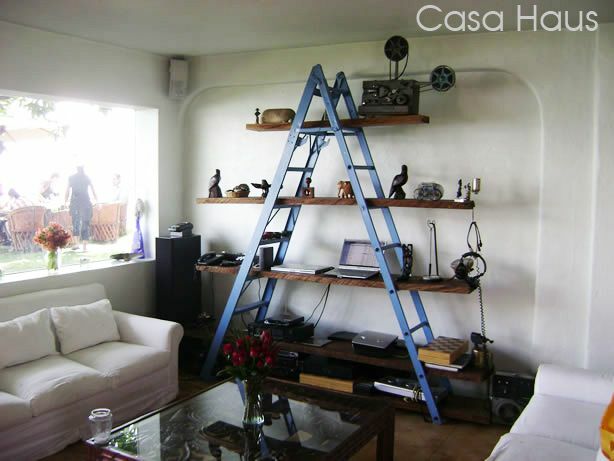 If the idea is to build a ladder bookcase, then you might as well use an actual ladder in your design. 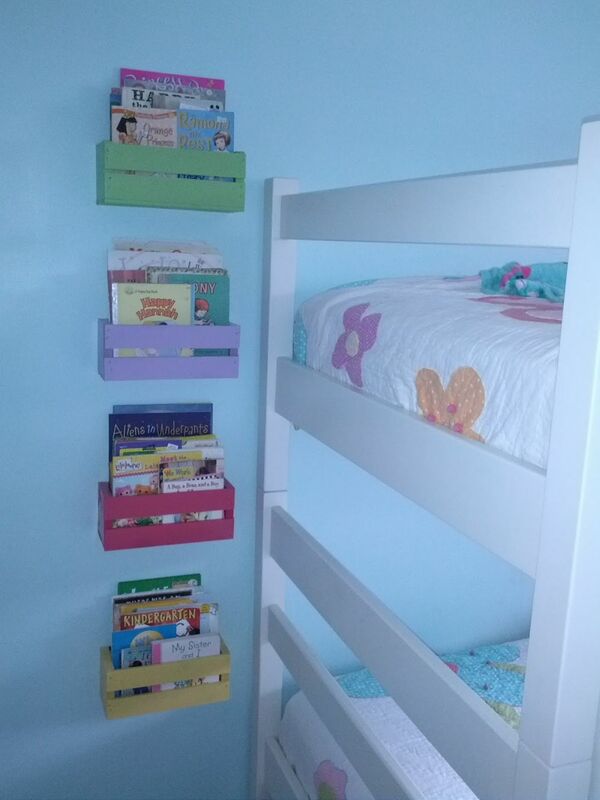 You can just add a few wooden plank shelves which can be fully supported by the double ladder. 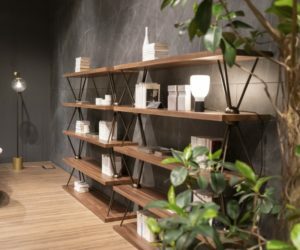 The shelves could get shorter towards the top if you want the bookcase to have a pyramid-shaped design. Anyway, check out casahaus for more inspiration. 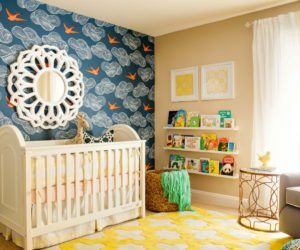 A lot of the ideas we showed you so far had to do with bookcases and not so much with individual DIY bookshelves so let’s have a quick look at the project featured on extraordinareality. 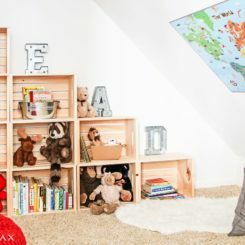 These little wall-mounted bookshelves are perfect for children’s books. 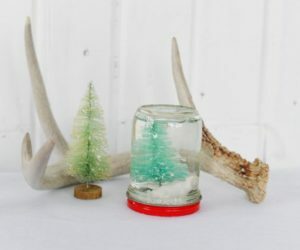 They’re small, cute and colorful and you can make as many as you want. 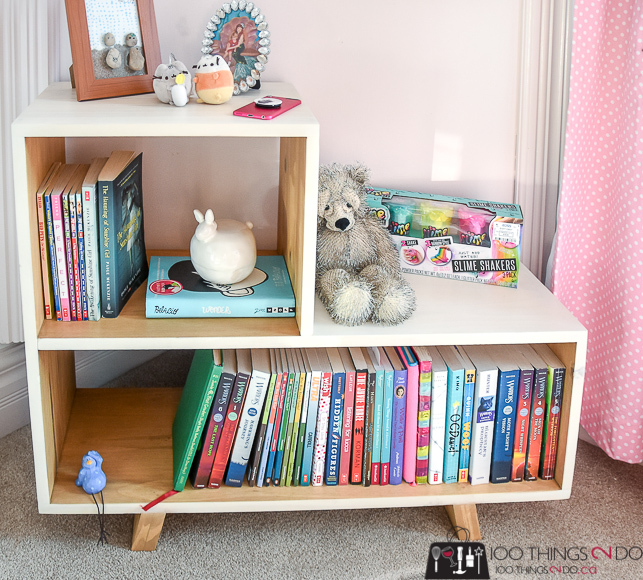 Earlier we mentioned that you can transform a simple bookcase into a comfortable bench with storage under it and at that moment the idea was to repurpose an existing bookcase unit. But what if you don’t have one? 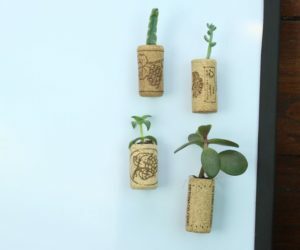 The natural solution would be to build one and you can follow the tutorial featured on instructables to make sure you’re not missing anything. 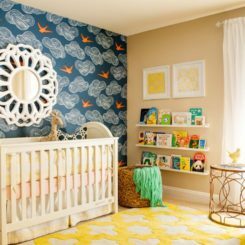 In addition to all sorts of cool ways to mix and match shelves of different shapes and sizes, another area where you can be creative has to do with mounting system and hardware. 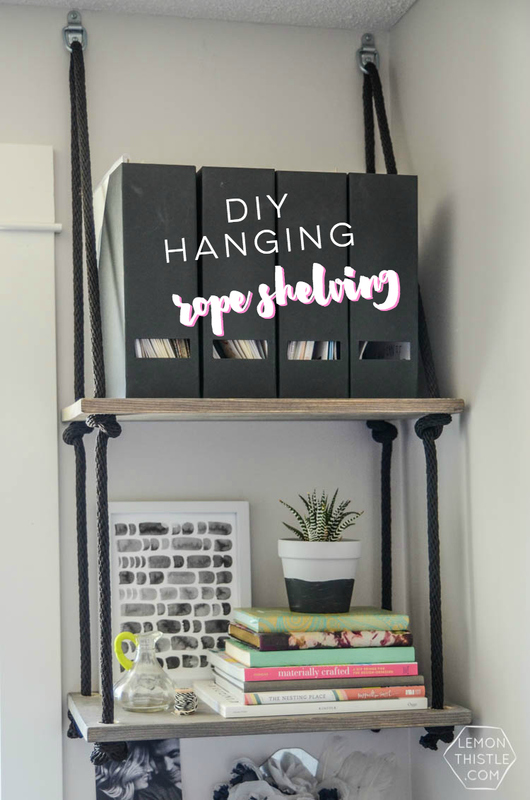 A cool idea is to build hanging shelves and to use rope and metal anchors to put them whenever you want, such as by a window, in a corner, above a table or wherever there’s some free space. You can hang them from the wall or from the ceiling. You can find more details on lemonthistle. One of the greatest things about a bookshelf besides the fact that it adds more storage to a space is the fact that it doesn’t take up a lot of room and it doesn’t make it seem small or cluttered. 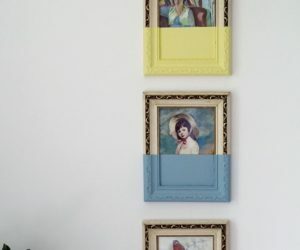 This is true for a lot of different DIY bookshelf designs, including this one from shadesofblueinteriors. 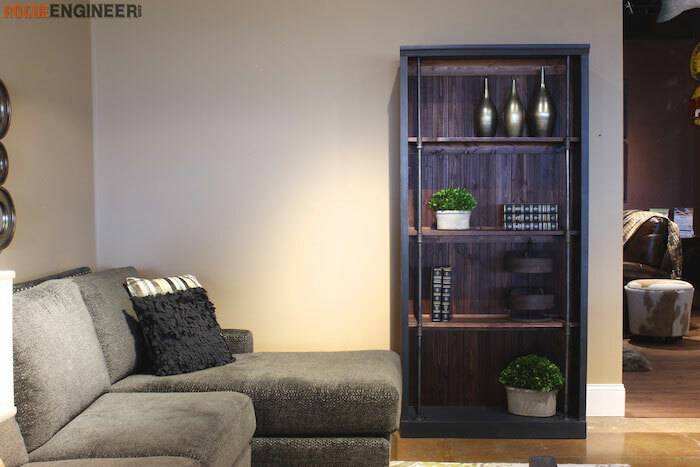 It’s a slender spine bookshelf which can fit in tight nooks and corners. How cool is this shelf? Yes, that’s right, this is a bookshelf made out of a repurposed skateboard. 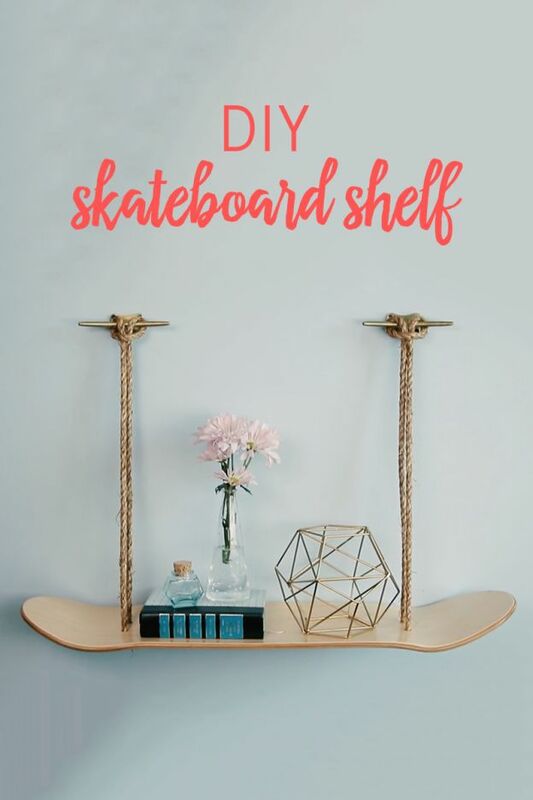 You can make one for your own home if you just remove the wheels and you drill four holes in the skateboard so you can hang it with rope. This is a great way to upcycle an old skateboard and to give it a second chance. It’s also a great way to decorate your home with meaningful pieces. 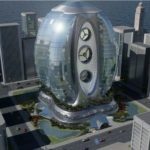 You can find instructions for this project on babble. When we mentioned industrial shelves we talked about how pipes can be used to build a frame for a shelving unit. Now you can see exactly how that would look like. 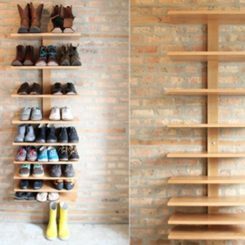 On tarynwhiteaker you can find a detailed tutorial explaining how you can make industrial shelves out of metal pipes and fittings and wood boards. 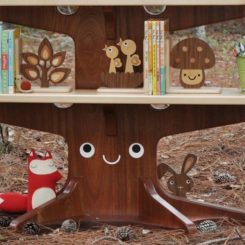 Tree bookshelves are pretty popular and not exactly difficult to build which means you can even do it yourself. 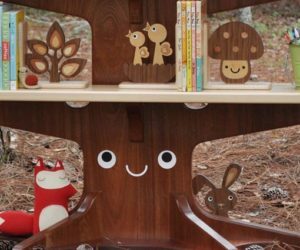 It’s one of the most detailed DIY bookshelf projects on our list so be sure to follow the instructions and to always measure twice before making any cuts. 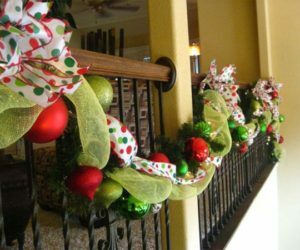 You can find all the details on instructables. 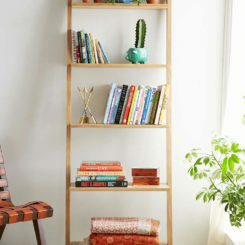 This mid-century modern DIY bookshelf table is a perfect piece for the living room. You can keep it next to the sofa and fill it with all your favorite books so you can always have them close at hand when you want to relax. 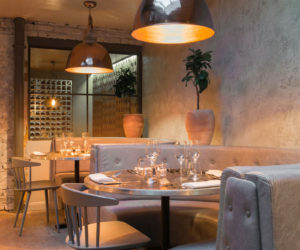 The table has two compartments and an open section on which you can display decorations or use as a surface for your phone and other personal belongings. You can find out more about this project and the design of the side table on jenwoodhouse.